THE WORLD’S LEADING MANUFACTURER OF CUSTOM DESIGNED AND FABRICATED FIBERGLASS REINFORCED PLASTIC (FRP) TANKS AND EQUIPMENT. Augusta Fiberglass. 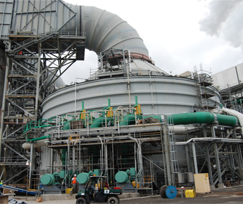 Fiberglass Reinforced Plastic (FRP) tanks, duct, scrubbers, stacks, stack liners and field services. 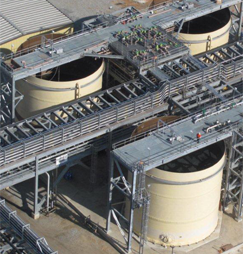 The Augusta Fiberglass team of engineers, craftsmen and visionaries routinely solve complex issues relating to Fiberglass Reinforced Plastic Tanks, duct, scrubbers, stacks and stack liners for a worldwide market. Field Crews are available on a 24 hour 7 day a week basis to respond to emergency or repair. With experience gained in the industry since 1974 and RTP-1 authorization since 1995, Augusta Fiberglass will exceed all of your requirements for custom Fiberglass Reinforced Plastic (FRP). Tanks of all shapes and sizes for service in large and small facilities. Field Erection teams with more than adequate equipment and experience.